The Women of Christ Covenant are excited to offer a great Mother’s Day Breakfast. 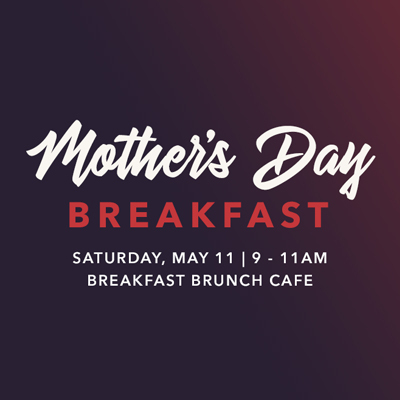 This morning will provide a wonderful opportunity for moms to relax, connect and enjoy a delicious breakfast. To accommodate our working moms, we will be meeting on Saturday morning at 9:00am. Childcare is not provided and the breakfast is dutch treat. All women are welcome. Please register online because seats are limited.